From the range of GOLD award winning baby monitors, introducing the latest digital baby monitor, BW3451R. 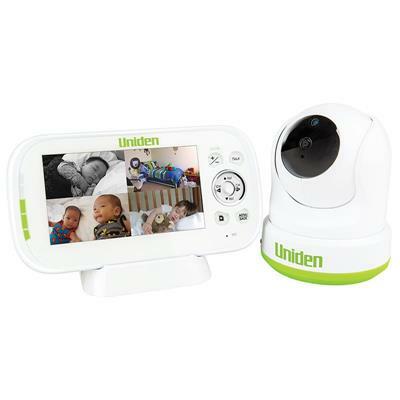 Uniden's new wireless solution is designed to monitor the safety of your baby or kids playing. Exceptionally user-friendly and high quality digital encrypted monitoring system, the BW3451R lets you manoeuvre and take control of the whereabouts of your child! The Uniden Baby Watch® app helps to assist the safety of your child while you're away from home. This system comes with a 4.3” Colour LCD Display Receiver so that you can see and hear your child, even in darkness, with the camera's special Night Vision feature. Night Vision gives excellent monitoring visibility without the need for the room light being turned on. The system can even be expanded to accommodate 4 cameras. With the Zoom, Pan & Tilt functionality, users can wirelessly control their view using Uniden's remote view app. Monitor the safety of your children from anywhere in the world with a walkie talkie function to soothe your baby remotely. 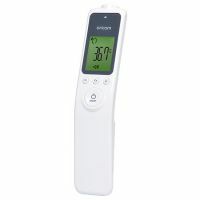 The BW3451R also comes with Temperature Display with Temperature Range Alert and a selection of Lullabies to play to your baby.